Ford has always helped produce the best vehicles around. From cars to trucks, Ford always comes out on top. 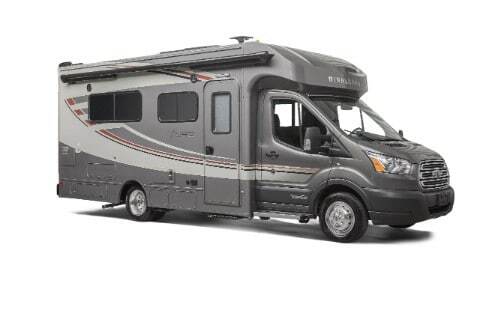 Now, Ford can add another type of vehicle to that list: motorhomes. The Ford Transit is serving as the new base for motorhome vehicles. The Ford transit is one of the brand’s most reliable vans. Now that van is being used by Winnebago for the chassis of their newest motorhome. The Winnebago Fuse is a Class-C motorhome. This title means that these vehicles include a living space behind the driver’s cabin. The Fuse can hold either two twin beds or one queen-sized bed. Thanks to Winnebago and Ford, travelers can bring all the comforts of home with them. All of us here at Hassett are so excited to announce that the new Ford Transit was just named the ‘International Van of the Year 2014’! This really is exciting for Ford as this award makes Ford the first single manufacturer to win this award two years in a row. And beyond that, Ford has now made it very clear how serious they take commercial vehicles. If you’ve never driven a Ford transit Connect, they are very similar to cars in terms of comfort and efficiency – but that’s where the similarities stop. The Transit Connect is a ruggedly built truck, certified to Ford Light Commercial Vehicle Durability Standards, providing a maximum payload of 1,600 lbs. and up to 129.6 cu. ft. of cargo space. It’s no wonder why so many businesses count on the Transit Connect to deliver day-in and day-out. Interested in getting one or two of these for your business? Stop by Hassett Automotive today! We have a great selection of Transit Connects and a service center to help keep them running strong for many, many years.